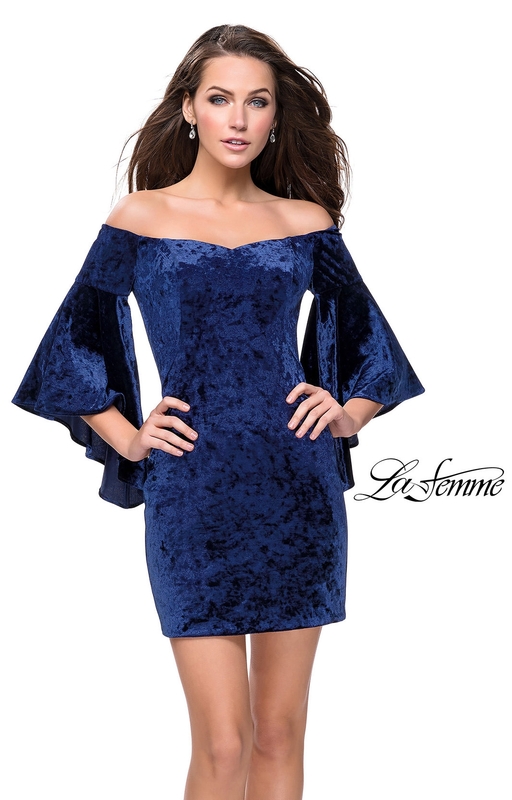 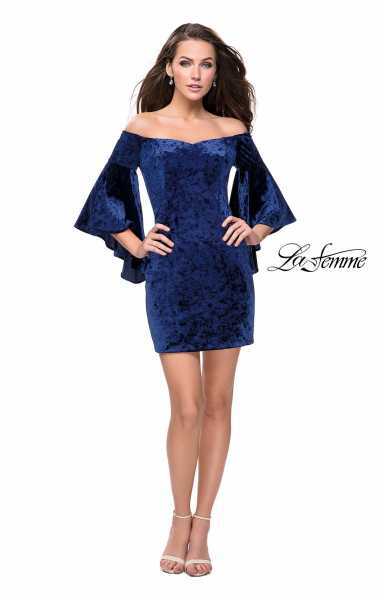 Stand out while wearing this La Femme 26640 velvet short dress. 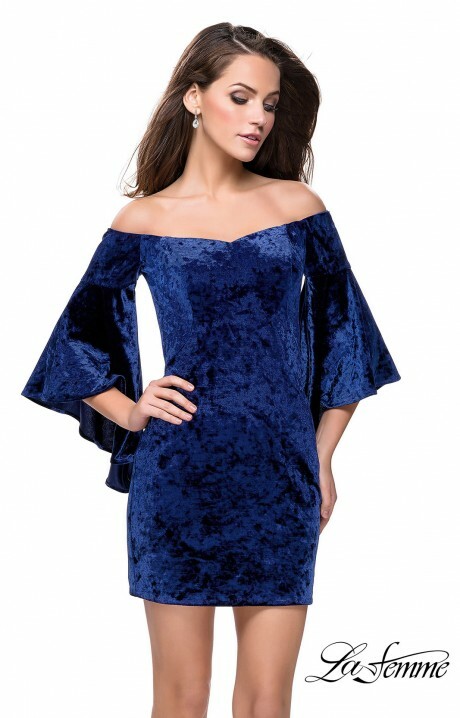 This dress goes off the shoulders and has bell sleeves. 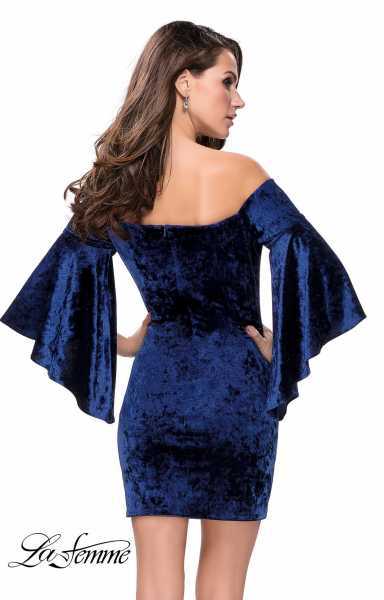 Let this dress show off your figure because it is fitted to your body.